Veeam have released a new Cloud Backup & Replication edition recently that allows companies to upload their backups from local site to any of 19 different Cloud providers. As with all Veeam products the Cloud Edition is easy to use, powerful and affordable. It provides clients that have disk backups the opportunity to push the backup files to the cloud for long term storage. The configuration and set up is simple and quick and you can really begin to upload your backup files to AWS, Azure or Rackspace within 30 minutes. Easy! As this is the first iteration for Cloud Edition there are however some drawbacks to be aware of. The primary setback is getting your data back out of the Cloud. Getting the data in is so easy it’s almost crazy. Getting access to your data in the Cloud however involves a few workarounds. We’ll take AWS as the example here. You cannot export files back out of AWS in any format other that OVF. 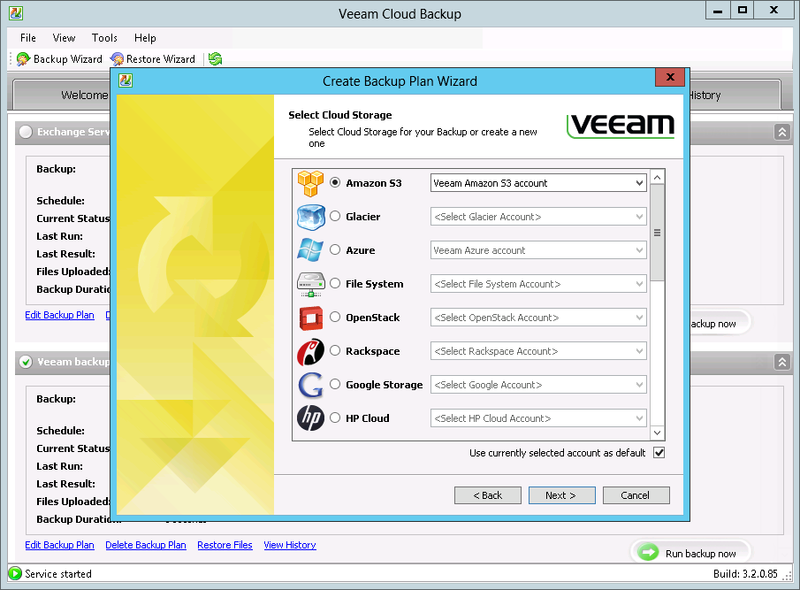 To be able to get access to your Veeam Backup data once it’s in the Cloud, essentially doing a restore in the Cloud, requires performing some steps to make it work. This is a long enough process at the moment and I can definitely see this being refined by Veeam over time. The first step you need to take is to deploy an EC2 instance in AWS and within that instance deploy Veeam Backup & Replication Cloud Edition. You will also need an OVF conversion tool and some AWS tools, the ECC & ELB toolsets. Next you need to import OVF files to an EC2 instance in the cloud. And ta-da! 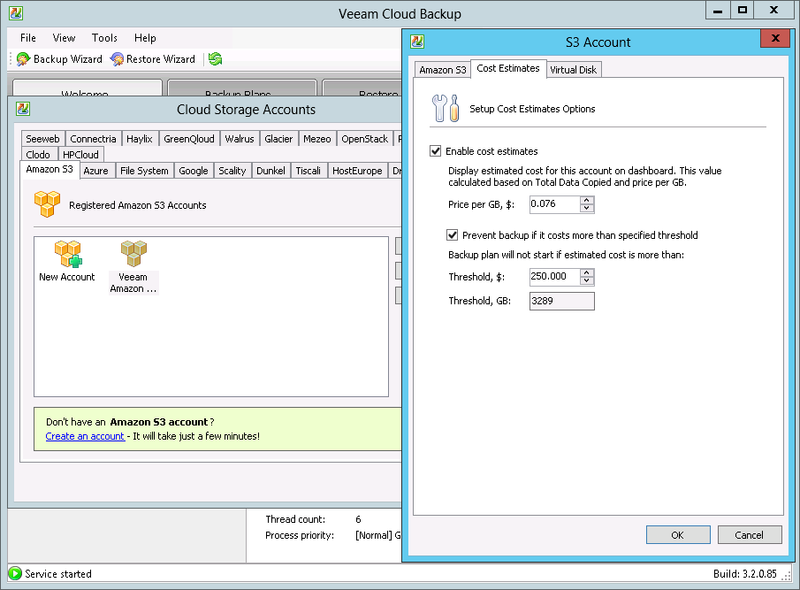 Your Veeam Backup copy of your data is now available as an EC2 instance in the Cloud. As I mentioned already, it’s a bit of a work around but it’s definitely something that will be revised heavily in the next revision of Veeam Cloud Edition. 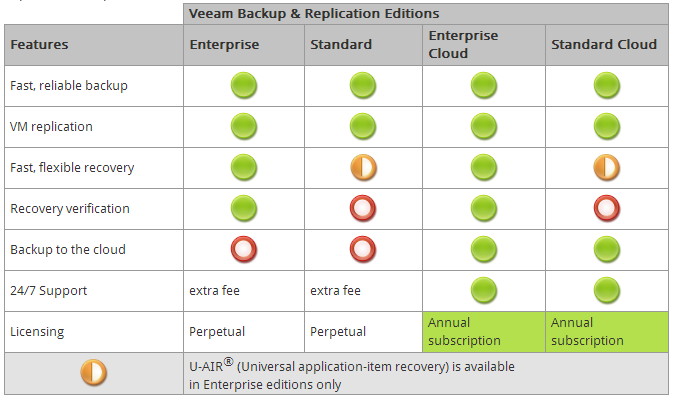 If you currently use Veeam Backup & Replication you may need to make some changes to get the most advantage out of Cloud Edition. Firstly, you will need to change your licensing model from perpetual license to subscription based licensing. This is the way Veeam will be licensing their products from now on so it’s not surprising that they have already begun to make this move. There will be an initial saving in licensing costs for the end-user so the subscription model is a good move for both Veeam and it’s customers. Another issue you need to be aware of is the backup type you are using, whether that is forward-incremental or reverse-incremental. Forward-incremental is the best backup method for use with Veeam Cloud. So if you have your backups configured as reverse-incremental you may need to swap the backup method over to forward-incremental. The reason of this is the amount of data being transferred. Forward-incremental will only push your latest data changes up to the public cloud. Reverse-incremental by its very nature is essentially a full backup so each time you push the backup to the public cloud it will push a full backup. Depending on bandwidth and the size of your vbk files this may not be an issue, but for most end-users it could begin to use up unnecessary bandwidth. It is recommended to engage with a Veeam recommended solutions integrator to help with the design of the backups and replication with Cloud Edition. One of the really nice features included with Veeam Cloud Edition is the integration of a Cloud Cost Calculator. This is something that is really useful for users to work out their general costs in advance without giving Cloud Edition a go first and then getting stumped with a hefty bill from their Cloud provider. Veeam Cloud Edition is available as an annual subscription. The paid subscription includes the full functionality of Veeam Backup & Replication to backup your virtual environment, as well as new functionality that can copy backups to the cloud.